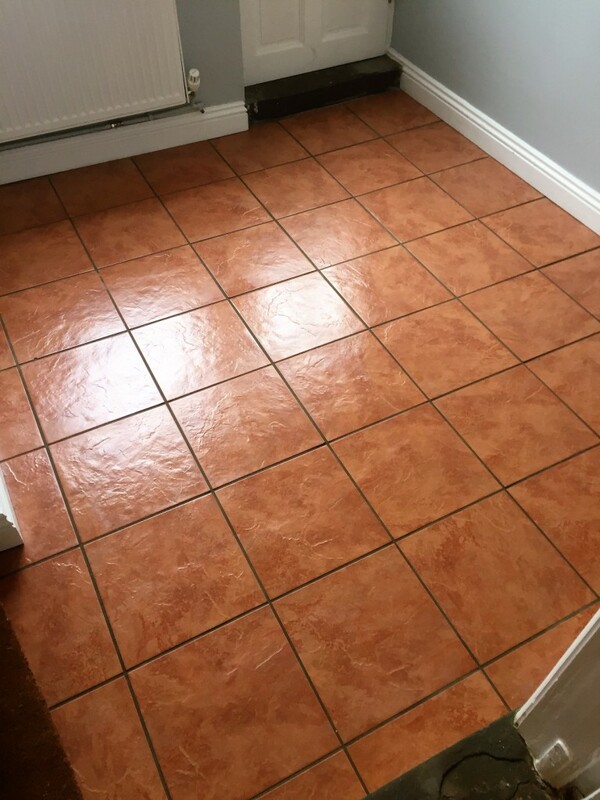 This Porcelain tiled utility room at a property in Hull had been primarily used as an area for the household dogs, and so had suffered over the years from plenty of wear and tear. Originating in China, Porcelain is a type of ceramic that is known to be quite hard-wearing and durable, however, dogs are known to bring all manner of muck into the house from outside, and it was certainly beginning to show here. 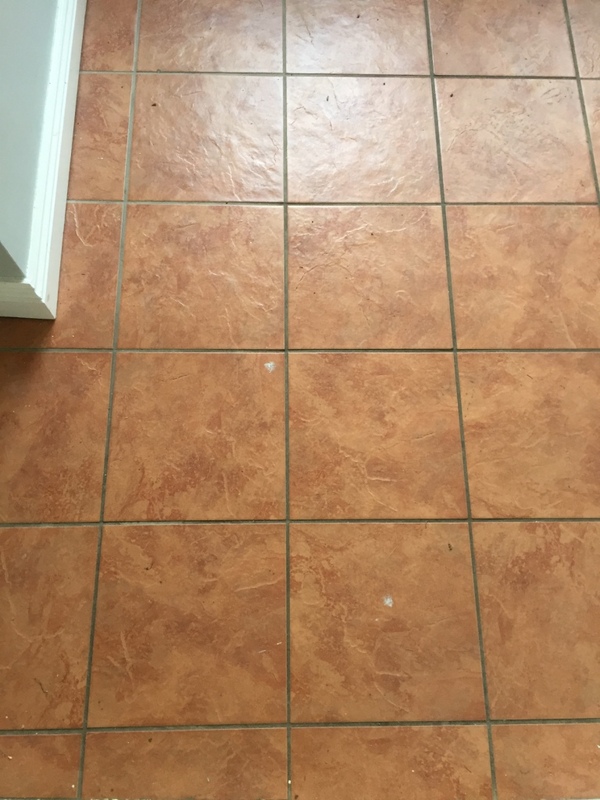 The property owner was keen to have the tiles professionally cleaned and sealed, with the grout lines being in a particularly dire state. To begin the cleaning process I firstly mixed a 60-40 mix of Tile Doctor Pro Clean and water. Pro Clean is our go-to cleaner for natural stone tiles due to its consistency and versatility. 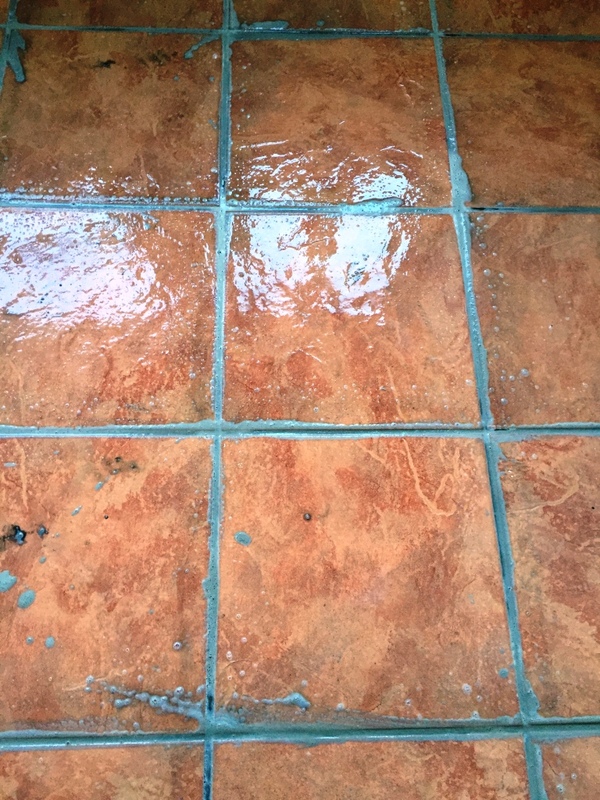 I applied it to the tiles and grout lines and left it to dwell for a short while, allowing it time to loosen the layers of muck and also break down any old sealer remaining on the floor. Next, I scrubbed the solution into the floor with a 17″ rotary machine, and paid special attention to cleaning the grout lines with a wire brush, bringing them back to their original colour. Any resulting cleaning residue was removed with a wet vacuum and any chemicals remaining on the floor were washed away using a thorough rinse with water. Before the floor could be sealed, it needed to be left to dry overnight. It is always recommended to leave freshly cleaned floors to dry for at least 24 hours before sealing, since even the slightest amount of moisture can cloud the sealer and damage its performance. Running damp tests is a good idea to make certain that the floor is completely dry. Once satisfied that the tiles and grout lines had been fully dried out, I proceeded to seal the floor with Tile Doctor Ultra Seal. Ultra Seal is an robust impregnating sealer that prevents dirt from becoming ingrained in the grout and the stone itself, thus making the floor much easier to keep clean in the future. The sealer also gave the floor with a bright, natural look finish, leaving it worlds apart from the condition it was in just a day previously. Needless to say the customer was very happy and impressed with the results achieved in a short space of time.